Working the Tweed opens in the Gallery at Harestanes Countryside Visitor Centre on Wednesday October 9th. It’s sometimes easy to forget just how much the Tweed and its rivers define our region and so it’s particularly appropriate that these four artists have chosen such a fundamental subject for their creative investigations. Harestanes Centre Manager Michael Scott. Assisted by Tweed Forum and Southern Uplands Partnership and supported by the Scottish Borders LEADER programme, Working the Tweed has been exploring some of the lesser known aspects of the Tweed and its tributaries; from re-meandering to fish-tagging. Information gathered though field visits and riverside meetings with scientists and river specialists has provided the material from which the project room work has been created , encompassing drawing, film, sound and textiles. The project room is about bringing a creative process and a different perspective to specialist knowledge. 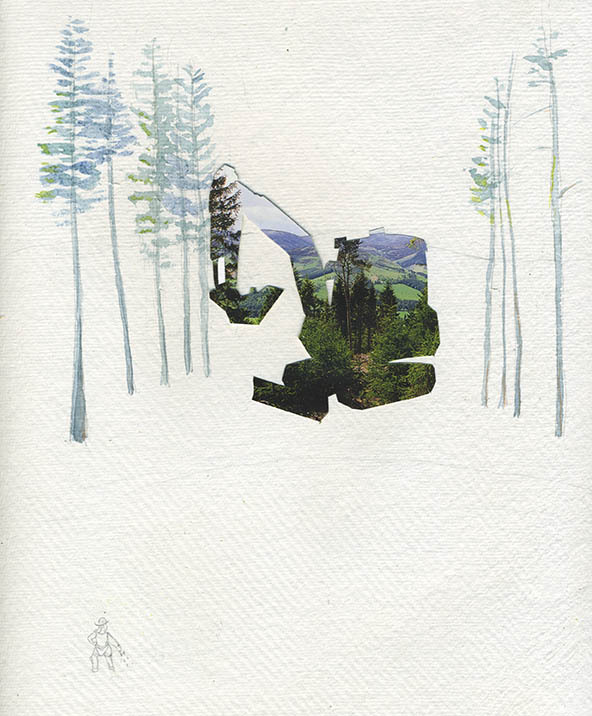 ‘Cryptic Digger’ Collage, watercolour and pencil by Kate Foster Credit: Kate Foster and Forestry Commission. Working the Tweed is a collaborative endeavour. Public events and activities like Knowing your River, Riverside Meetings with artists and river specialists and the Tweed Sessions have generated conversations all over the region around the river and what it means to people. This focus on social and public engagement has had a major impact on the direction of the project and it is represented through the River Way drawings made by people over the summer and the voices of people on sound recordings. ‘Tweed Tweed’ Jules Horne with thanks to Tweed Forum & CBEC. 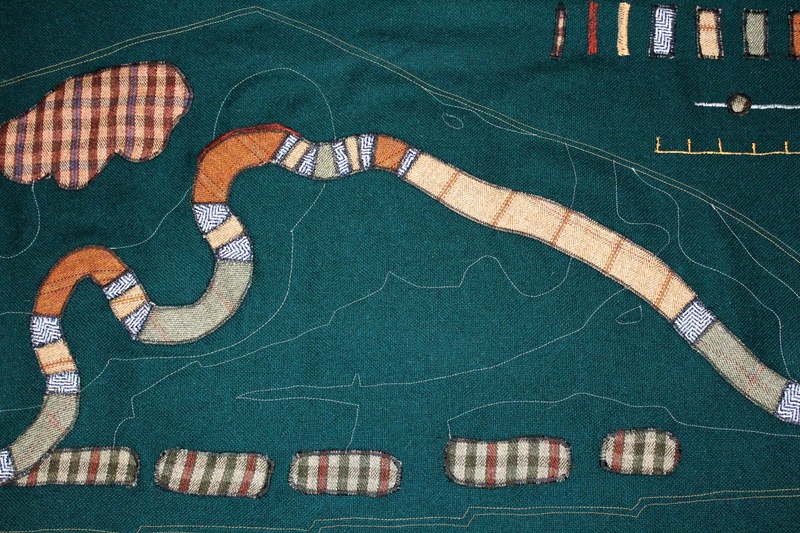 Working the Tweed runs from October 9th to October 31st. Harestanes Countryside Visitor Centre is part of Scottish Borders Museums and Galleries Service. The centre holds a Gold Award for Green Tourism and is a VisitScotland 4-star attraction.